Lot 11 S.R. Double Sided Station Platform Sign. 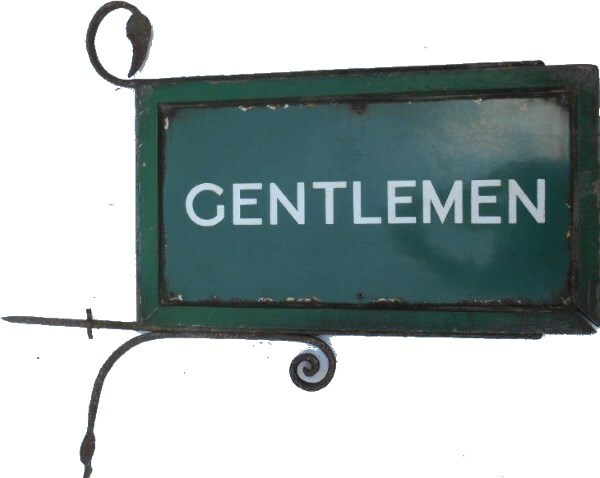 "GENTLEMEN" Still mounted in its original steel and wood hanging frame. Size 24" x 12". As removed condition.